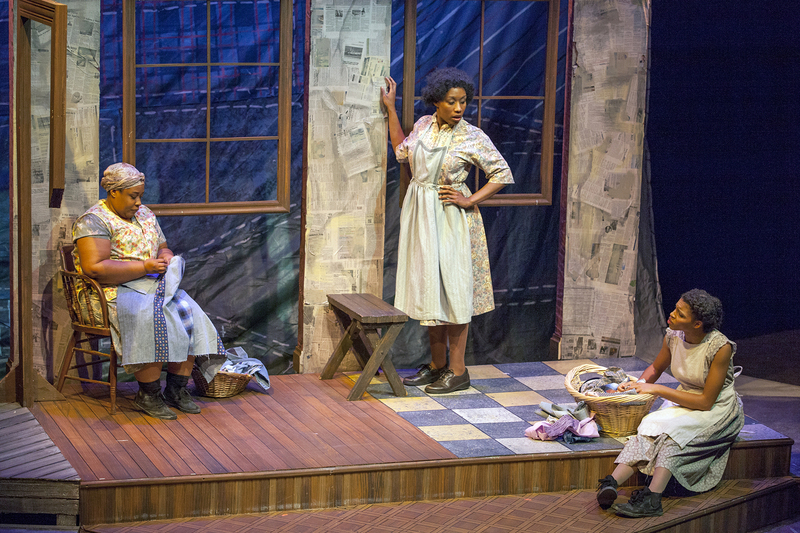 The latest offering at Mustard Seed Theatre is the Elyzabeth Gregory Wilder stage adaptation of actual events about the small, all black community of Gee’s Bend, Alabama with a history that dates back to 1816. Spanning over 50 years, we meet two of the families who worked the land and, to keep their families warm, made quilts which later became museum pieces that were heralded as true American Folk Art. 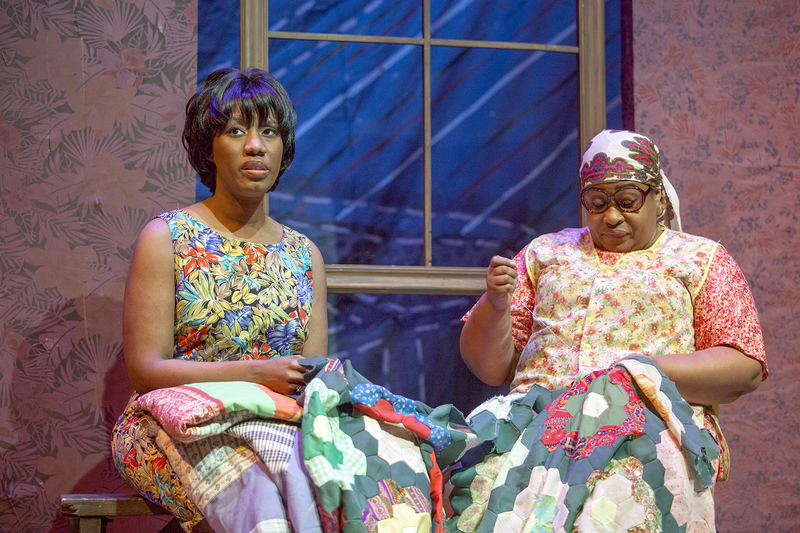 “Gee’s Bend” opens in 1939 as Mother Alice sits making one of her many quilts as her daughters, Sadie and Nella talk about life, loves and their hopes for the future. Marty K. Casey is the picture of a worldly-wise woman who tries to keep her daughters’ heads in the proper place. Jacqueline L. Thompson is the older and more sensible of the two daughters, Sadie, who tries to follow in her mother’s footsteps- even learning the ancient tradition of quilt-making. Alicia Reve Like, on the other hand, is a young lady with her head in the clouds as Nella. Her aspirations are much loftier and feels there is not need to learn any of the old ways but plans to find a man who will provide. The “man” for Sadie comes along in the person of Macon- a strong performance by Reginald Pierre. He tells her of his plans to build a big house for the two of them and the children they’ll have to help fill it up. As we skip ahead to the ’60’s we find Sadie a bit disillusioned as, although Macon is still a good provider, he is rigid in his grip on the past. When Sadie prefers to be more progressive- even to the point of marching in the famous Selma, Alabama protest with less than successful results. Macon gets furious and even takes to beating her to sway her to his way of thinking. After tragedy and life continuing on in the small community, we jump into the ’90’s to see Sadie and Nella as they prepare to visit New York to see the quilt exhibition at the Whitney Museum- many of their quilts will be displayed hanging on walls like paintings. Enter Sadie’s daughter Asia, played by a now younger Marty K. Casey who tries to upset the apple cart by announcing her intentions to leave Gee’s Bend. A proud and evolving history comes full circle as love and respect have held this family together and will continue to do so even as the years and inevitable progress goes on. Director Deanna Jent has focused on the simple telling of this tale and the sweet, family oriented story behind the play. Despite the heartbreak and tragedy that hits the family, they will always love each other and that’s enough to get them all through any crisis that comes up. The Kyra Bishop set design is splendid in its simplicity as well while Bess Moynihan’s lights add strength to the story. Jane Sullivan’s costume design is perfect and the Patricia Duffin sound design blends beautifully into the play. Fifty-plus years told over an hour and a half is beautiful to behold. “Gee’s Bend” is a strong story simply told and is certainly worthy of a look see. 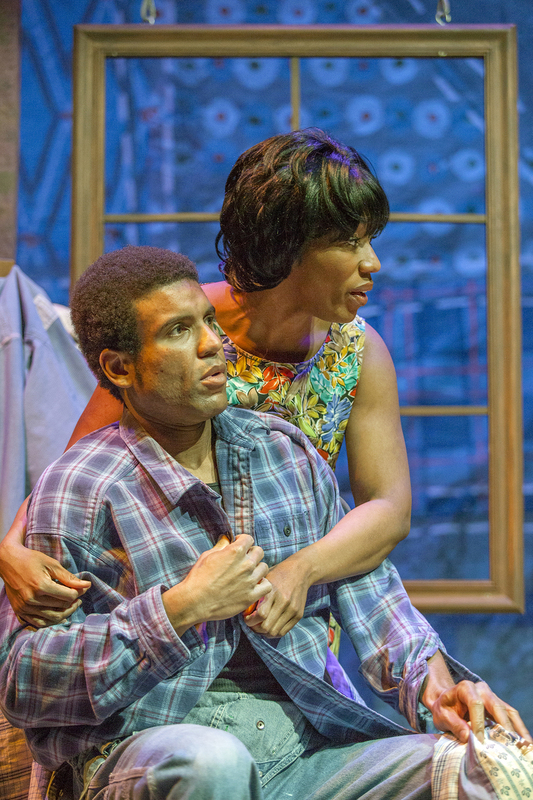 It plays at Mustard Seed Theatre through February 23rd. Give them a call at 314-719-8060 or at mustardseedtheatre.com for tickets or more information. This entry was posted on February 11, 2014 at 9:43 pm02 and is filed under Uncategorized. You can follow any responses to this entry through the RSS 2.0 feed. You can leave a response, or trackback from your own site.